Dad’s house is no longer Dad’s house. The piles of paperwork were signed, the piles of money were handed out, and it’s a done deal – SOLD! My childhood home was passed on to some really nice people who are willing to take good care of it and call it home. We’ve been browsing around online, driving to houses of interest, including to ones out of town and out of state. Once all the Halloween festivities are over and Mike’s band schedule opens up we’ll begin the search. Our days in the little shoebox on the hill are finally numbered! With all the craziness going on in this past month I managed to bake something that made the house smell super-duper and fall-like. 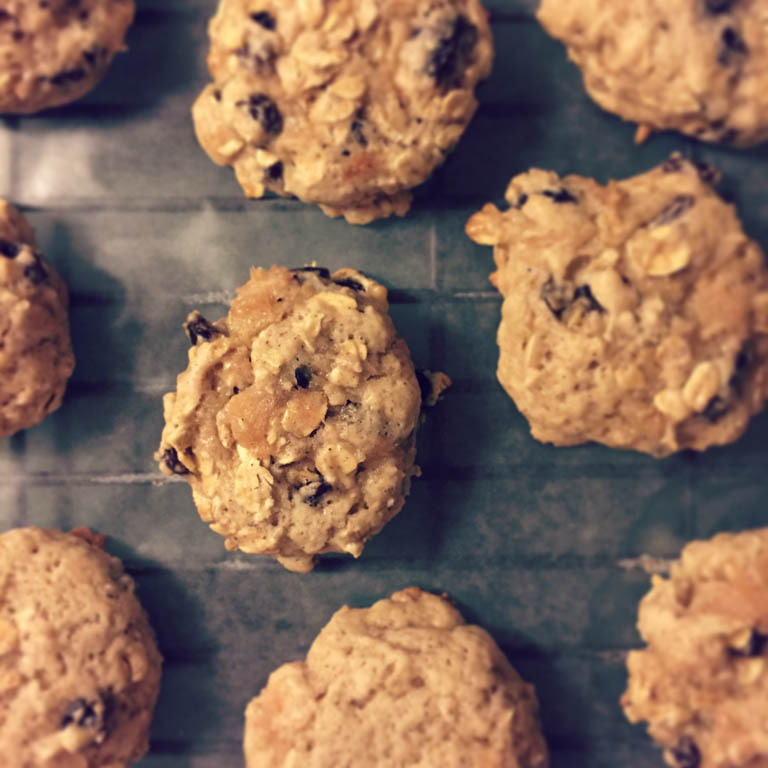 These apple spice cookies give a little more excitement to the regular oatmeal raisin cookie, and they’re a little healthier alternative from all the pre-Halloween candy that’s being eaten at my house and at work. When Mom made these cookies she used unsweetened applesauce, but this time I wanted the taste of apple pieces in them, so I thought I’d give apple pie filling a try. 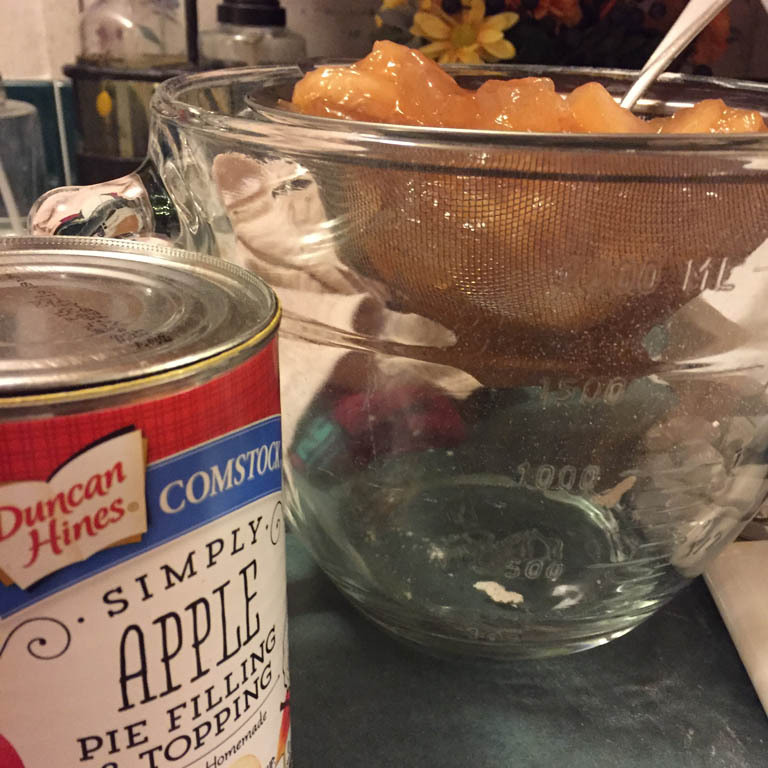 I poured the filling into a strainer, smashed the apples to smaller chunks, and drained a little bit of the filling just so the dough wouldn’t be too runny. It’s an extra step, but it’s worth doing! Preheat oven to 375 degrees. Grease baking sheets or use silicone mats. 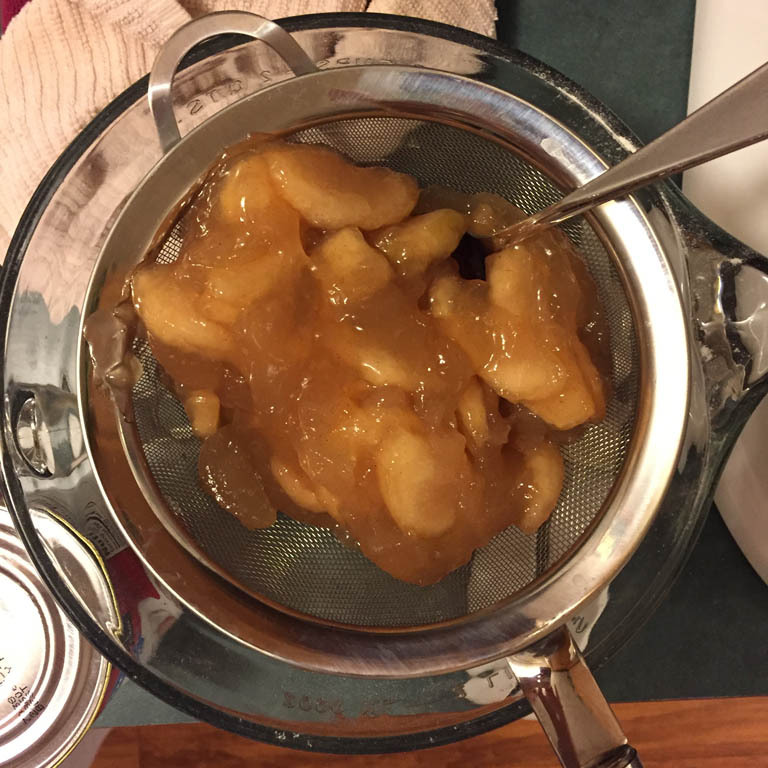 To prep the apple pie filling: Using a large bowl, place a strainer inside the bowl or lay it on top of the bowl. Pour the pie filling into the strainer, and with the back of a spoon, press down on the apples to break them apart and to allow some of the filling to strain out into the bowl. Measure about 1 1/2 cups into a smaller bowl and set aside. Disregard the extra pie filling. In a mixer bowl, beat margarine and sugar until creamy. In a large bowl, mix together flour, baking powder and spices, then gradually stir into wet ingredients. Stir in the apple pie filling, raisins and oatmeal. Using a small spoon or scoop, drop dough onto prepared baking sheets. Bake 13-15 minutes until edges are slightly golden. 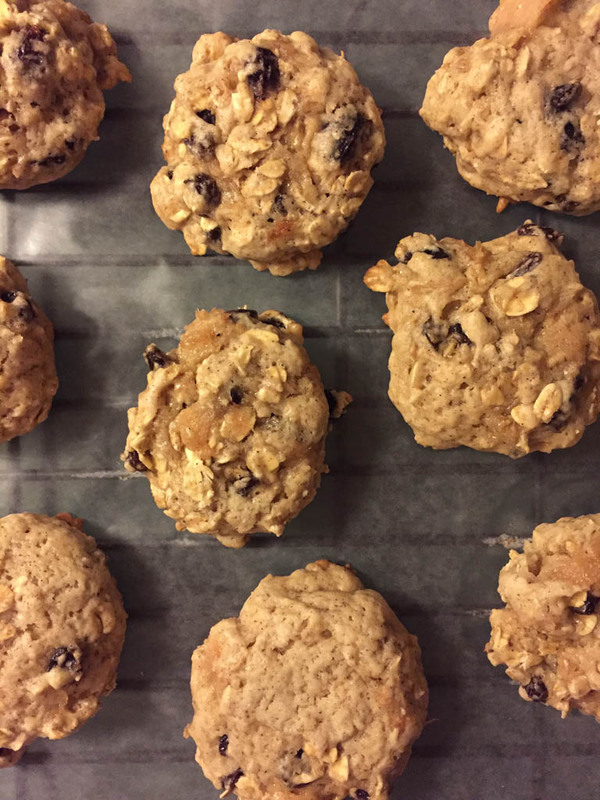 *If using unsweetened applesauce, skip the apple pie filling step and pour the applesauce in the wet ingredients with the raisins and oatmeal.